It is well known that neuronal networks are capable of transmitting complex spatiotemporal information in the form of precise sequences of neuronal discharges characterized by recurrent patterns. At the same time, the synchronized activity of large ensembles produces local field potentials that propagate through highly dynamic oscillatory waves, such that, at the whole brain scale, complex spatiotemporal dynamics of electroencephalographic (EEG) signals may be associated to sensorimotor decision making processes. Despite these experimental evidences, the link between highly temporally organized input patterns and EEG waves has not been studied in detail. 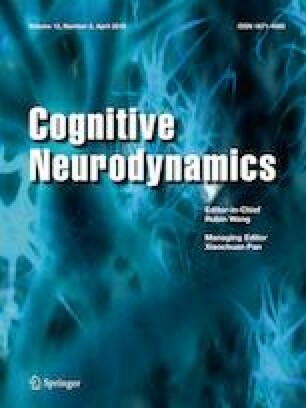 Here, we use a neural mass model to investigate to what extent precise temporal information, carried by deterministic nonlinear attractor mappings, is filtered and transformed into fluctuations in phase, frequency and amplitude of oscillatory brain activity. The phase shift that we observe, when we drive the neural mass model with specific chaotic inputs, shows that the local field potential amplitude peak appears in less than one full cycle, thus allowing traveling waves to encode temporal information. After converting phase and amplitude changes obtained into point processes, we quantify input–output similarity following a threshold-filtering algorithm onto the amplitude wave peaks. Our analysis shows that the neural mass model has the capacity for gating the input signal and propagate selected temporal features of that signal. Finally, we discuss the effect of local excitatory/inhibitory balance on these results and how excitability in cortical columns, controlled by neuromodulatory innervation of the cerebral cortex, may contribute to set a fine tuning and gating of the information fed to the cortex. The authors acknowledge the partial support by the Swiss National Science Foundation Grant No. CR13I1-138032. AJP’s work was supported, in part, by the Spanish MINECO FIS2015-66503-C3-2-P. All authors conceived and designed the simulations, which were performed primarily by DM. DM and AEPV wrote the paper, and all authors have read and approved the final manuscript.